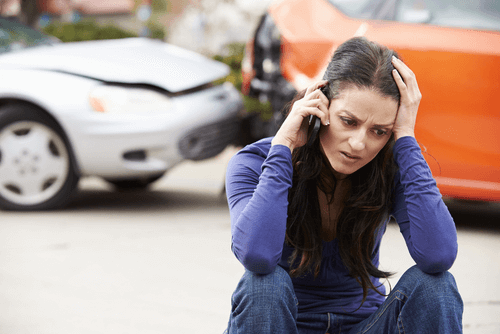 Car Accident Attorney in Parkersburg WV | Jim Leach, L.C. Jim Leach is professional and good at what he does. Almost all of us will be in some type of vehicle collision in our lifetime. If you or a loved one sustained serious injuries in a car accident, our auto accident lawyer Jim Leach is ready to help. You may need only a little advice, or you may need a verdict. Jim can help you in either case. Our firm will gladly review the facts of your situation and provide you with free legal guidance, if that’s all you need. We often find that car accident victims could achieve a better outcome with our help. If that’s the case, we are ready to fight for your right to full and fair compensation – either in the conference room or in the courtroom. 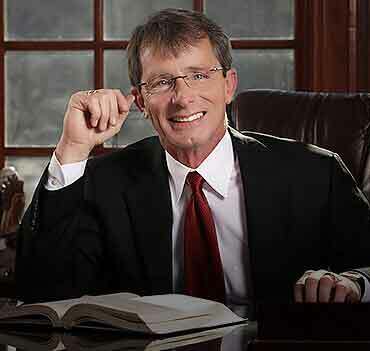 Auto Accident Lawyer Serving West Virginia and Ohio. The experience, resolve and dedication of our legal team set us apart from other firms. We have earned a reputation for strong client representation over our years of legal practice. 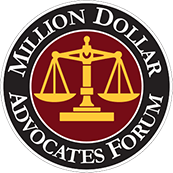 Since insurance companies know that we don’t shy away from court, we are better able to secure full and fair compensation during pretrial negotiations. 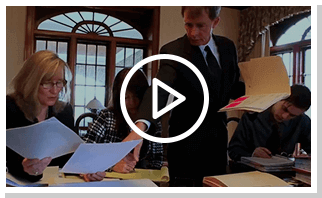 While we try not to take a case to court if we can avoid it, we are prepared to go to trial if that’s what it takes to get our clients what they deserve. We will take your case only if we believe we can put you in a better situation with our help. Attentive client service and frequent communication are our priorities. Our staff uses a unique case-management system to ensure that your case moves smoothly from start to finish, improving the likelihood of a positive outcome. Are you ready to find out how Jim Leach, L.C. 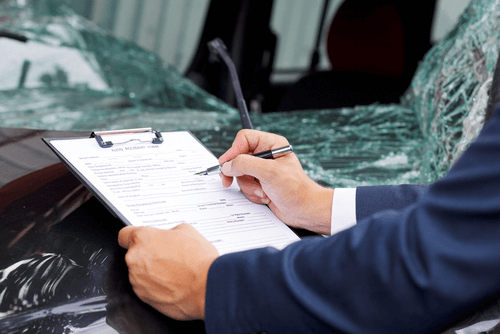 can help you with your car accident case? Talk to Jim today about your situation. There is no charge for the consultation and we accept no attorney’s fee until you get paid. If all you need is a little advice, we are happy to provide that at no charge. If the driver who caused the accident was driving carelessly at the time of the crash, you might be entitled to compensation for the injuries you sustained. 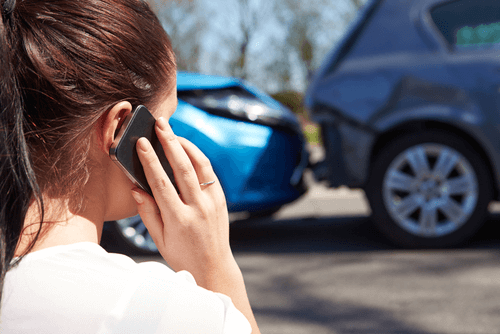 When you speak to our attorney, we will seek to understand how the auto accident has impacted you and your family and answer your questions about your car accident case. In cases where a defective vehicle caused the accident, our personal injury lawyer also has the experience to take on the complicated laws governing product liability. We will investigate the manufacturer and other parties responsible for releasing the faulty vehicle and take action on your behalf. Being in a car accident can be highly traumatic, often leaving you confused, disoriented, and in utter disbelief. If you are in pain from sustaining serious injuries, it may affect your ability to think clearly. However, it is important to stay calm and take the appropriate actions immediately following the accident so that you do not jeopardize your ability to receive the compensation you deserve. 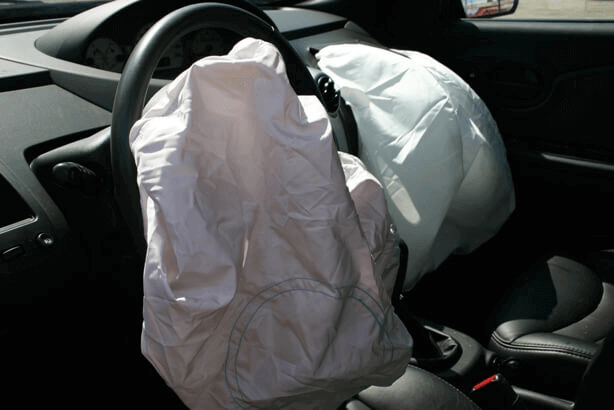 The first thing to do following a car accident is to assess any injuries sustained by you or your passengers. If necessary, seek medical assistance immediately. Call the police. Let them know what has happened and if you need emergency response personnel. If you are uninjured, make sure you and your vehicle are out of the way of oncoming traffic and are not in danger of being hit by another vehicle. It is important to remember not to move anyone who is injured. Moving an injured person may result in further injury. When the police and emergency response personnel arrive, inform them of any serious injuries that need attention. The police will likely ask all parties involved to explain what happened. Please be sure to answer all of their questions and cooperate fully, but do not speculate about the cause or answer more than what you’re asked. While the police report may be beneficial in a car accident claim, keep in mind that the police do not have the final word on who was at fault for a crash. That’s left up to the civil courts. 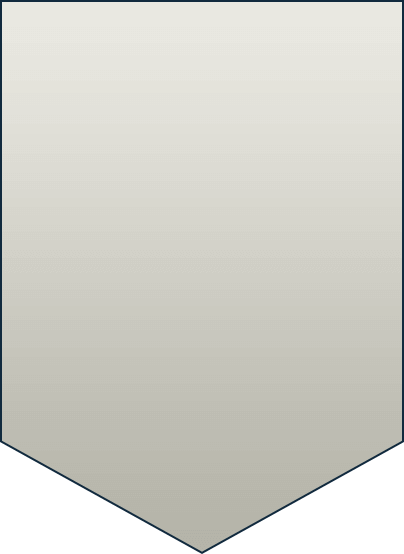 Make sure to gather information about the car accident and the other drivers, including: names of the drivers, names of witnesses, insurance information, driver's license numbers, phone numbers, addresses, the VINs of the cars involved, license plate numbers, the makes and models of the cars. Be sure to only give the insurance companies and the police factual information. Do not make any claim of fault or take any responsibility for the car accident. Even if you believe you did something wrong, it is best to consult with an experienced auto accident attorney before declaring your negligence to the police, the other driver, or the insurance company. All of the facts may not be clear to you in the chaos following a crash. Emergency response personnel will ask you if you have been injured. Now is not the time to act tough. Tell them about any pain or other symptoms you are experiencing, even if they seem minor to you at the time. They will transport you to the nearest hospital if you need emergency medical attention. Sometimes serious auto accident injuries take a while to show symptoms. Therefore, even if you do not feel hurt initially, it is still possible that you may have suffered a personal injury. You should follow up with your primary care physician as soon as possible. Your physician will be able to find any injuries you may have suffered and help you get the treatment you need. Having medical documentation of your injuries immediately following the accident could help your car accident claim. 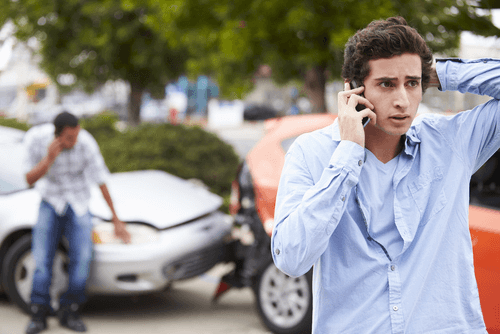 You need to contact a car accident lawyer to help you with your claim. It is important to choose the right car accident lawyer to help you deal with the insurance companies and get the compensation you deserve. Jim Leach is ready to discuss your situation whenever you are. Call him or contact him online now for a free consultation and advice about your legal options. 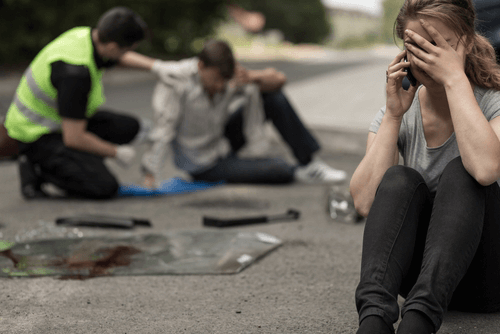 A car accident is a traumatic and frequently life-changing event. Medical bills can pile up, you may miss work, and your quality of life can suffer. But with a qualified car accident attorney like Jim Leach, you might be able to recover compensation to help you on your path to recovery. If you lost a loved one in an auto accident, our attorney can pursue damages on your family’s behalf through a wrongful death suit. Your family might be entitled to funeral expenses, loss of companionship, and other end-of-life damages. Medical bills: Reimbursement for bills you incur immediately after the accident, as well as accident-related bills you’re likely to incur in the future. Property damage and loss: Damage or loss of your vehicle and any other personal property items that were affected in the accident. Lost wages and benefits: If the accident affects your ability to work, you can seek damages to reimburse the wages and benefits you’ve lost, as well as those that you could have earned if you hadn’t been injured. Pain and suffering: Physical and mental trauma stemming from the accident. Less commonly, plaintiffs may also be awarded punitive damages, which explicitly seek not to compensate the victim but to punish the defendant for particularly negligent or egregiously reckless behavior.  West Virginia follows what is known as comparative negligence law in proving fault. This means that a plaintiff’s potential compensation is reduced according to how much of the fault the court determines he or she shares for the collision. 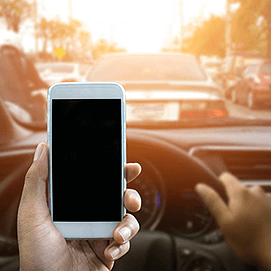 For example, say the court finds in favor of the plaintiff in an intersection accident case but also rules that he or she is 25 percent at fault. The damages the plaintiff won will be reduced accordingly by 25 percent. So, if the total damages were $100,000, the plaintiff could recover $75,000 in this example.